Popping their inflatable neck pouches all day is physically demanding. 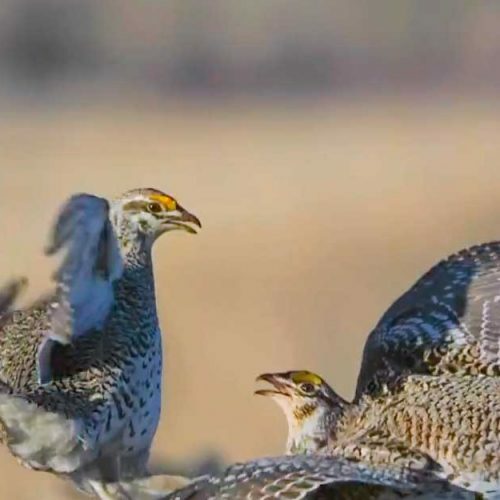 See the bombastic display of the sage-grouse in slow-motion and learn why the show must go on. Climb into a blind with biologist Marc Dantzker to get a first hand look at the drama that unfolds each year on a Greater Sage-Grouse lek.